Happy Thanksgiving! 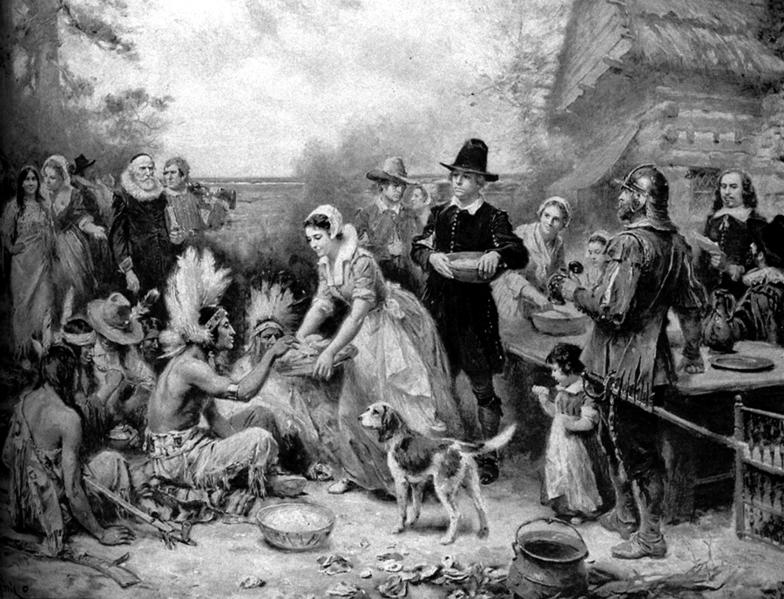 This Thanksgiving don’t forget where your food comes from. In a previous posting I noted that the U.S. dairy industry has some of the best technology in the world for ensuring that the dairy products you consume are safe and wholesome. Someone asked a very great question; what are some of the technologies and ways that dairies and creameries ensure product quality? It’s a great question, so I have decided to do the next few postings on this topic. I will start first at the farm level, since it is most familiar to me as I have worked on the farm since I was little, and basically its where product quality starts. Then I will move on to the ways product quality is monitored at the creamery. The processes at the creamery are not as familiar to me, but I studied dairy processing in college so I got to learn procedures and technologies that are used to assure you that your milk and other dairy products are of the highest quality. Milking doesn’t occur with a pail anymore. 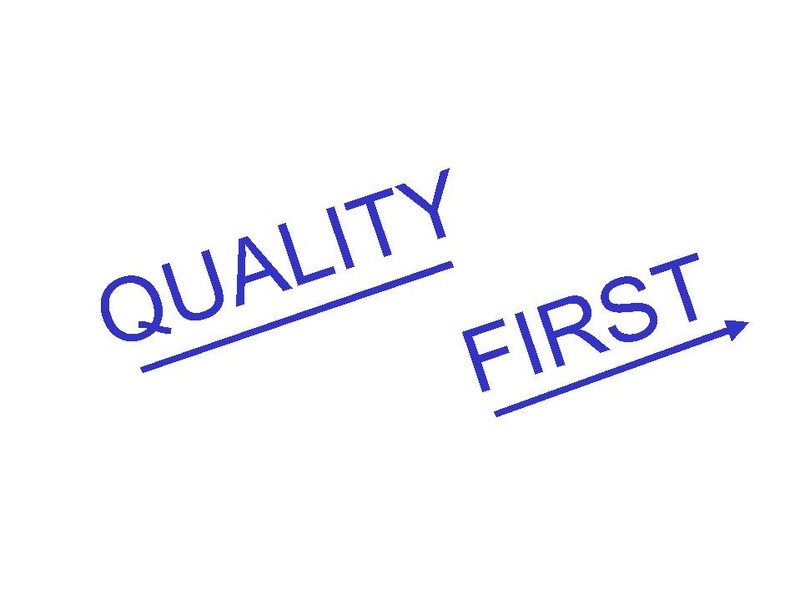 In fact there are quality control points on the dairy to make sure that the milk is kept clean and contaminate free. On the farm we have a variety of equipment and processes that we use to make sure the milk stays clean. We will start with the cows and follow the milk. Before the cows enter the milk barn, the cows are held in the sprinkler pen. Basically the sprinkler pen is a large pen with sprinklers running through the pen. Don’t worry, the sprinkler heads are protected to keep the cows from hurting themselves. Once the group of cows enters the pen, the sprinklers are turned on for about 5 minutes. It’s basically one large group shower, and the cows are cleaned from any dirt or mud that they may have gotten into. Sprinklers work great to pre-clean the udders before milking. Cleaning the udder is the primary purpose of the cow’s shower even though the cows thoroughly enjoy it, especially in the summer time. Getting the mud or dirt off of the udder with sprinklers is a great way to keep these environmental elements out of the milk. However many dairymen, California dairymen especially, are looking at ways to eliminate the sprinkler pen on the dairy to minimize the environmental impact. Even though the sprinkler pen is highly effective at its purpose, it does use a lot of water. 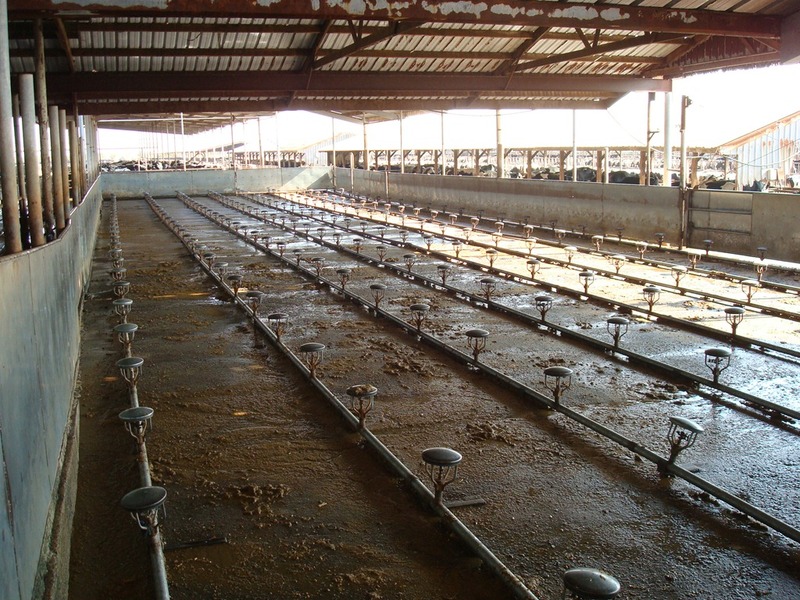 In efforts to use less water, many dairymen are trying to find ways to eliminate this pre-cleaning method, and replace it with more rigorous cleaning techniques in the milk barn. These new techniques may in fact be more labor intensive, but saving water is a big deal in California where water is becoming a scarce commodity. After the cows exit the sprinkler pen, they enter the milk barn. The cows enter the milk barn to be milked, but first they must be cleaned. Milking the cow involves a rigorous cleaning procedure to kill bacteria and eliminate the chance of any dirt from entering the milk at the time the cows are milked. All cows are treated the same, and the milking procedures must be followed accurately when milking all the cows. To start, the cow’s teats are dipped into an antibacterial sanitizer that kills bacteria, and moisturizes the cow’s teats to keep them soft. After the teats are dipped, the teats are cleaned with clean towels. The towels are not used on different cows. One or two clean towels per cow, then they are thrown in the laundry bin. We cannot reuse towels on cows because that would increase the risk of spreading bacteria from cow to cow. The towels are washed in our heavy duty washing machines. Before using towels, we used to use paper towels to clean the cows. The paper towels were much easier to use, you clean a cow then throw them away. However the paper towels created a lot of waste on our dairy. In efforts to make our operation more environmentally friendly, we now use reusable cloth towels. The cloth towels take a bit more labor on our operation, but we feel deep satisfaction in small efforts as these to be environmentally friendly when possible. 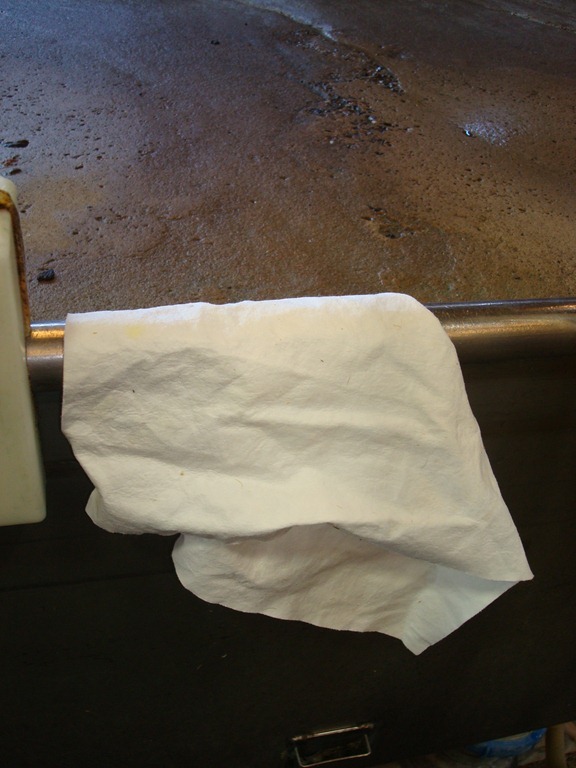 Many dairymen now use cloth towels instead of paper towels. In fact I don’t think I know any dairymen still using paper towels. Once the udder is clean, the milker strips the teat. Stripping basically means that the milkers milk the teat once or twice to make sure there is no infection in the cow’s udder. If the milk has a few small flakes or curds, the cow may have an infection called mastitis. These cows are sent to the hospital pen so they can receive treatment to help them fight off their infection. The infection could get very serious if not treated. Milk from mastitic cows is of very low quality; therefore it is vital that these cows are detected. Stripping the teats, helps the milkers detect any cows that may have come down with and infection that could affect milk quality, and also affect the health and well-being of the cow. Many people think that there is puss in the milk. This is completely false, and there is absolutely no merit to this claim. Mastitis is a bacterial infection that affects the mammary glands in the cow. When the cow fights the infection, white blood cells are killed fighting the infection and end up in the milk. Mastitic cows are removed from the herd to reduce the amount of cells that get in the milk to keep the milk clean. Even so, there are still cells that get into the milk from perfectly healthy cows. These cells are not dangerous, but they can greatly affect the quality of the milk. The amount of cells in the milk can be measured, and the dairy industry commonly refers to this measurement as the Somatic Cell Count (SCC). Milk quality is measured by the amount of cells in the milk. Federal regulations state that milk cannot have a SCC over 750,000. California regulations are much more stringent with that level being a SCC or 500,000. 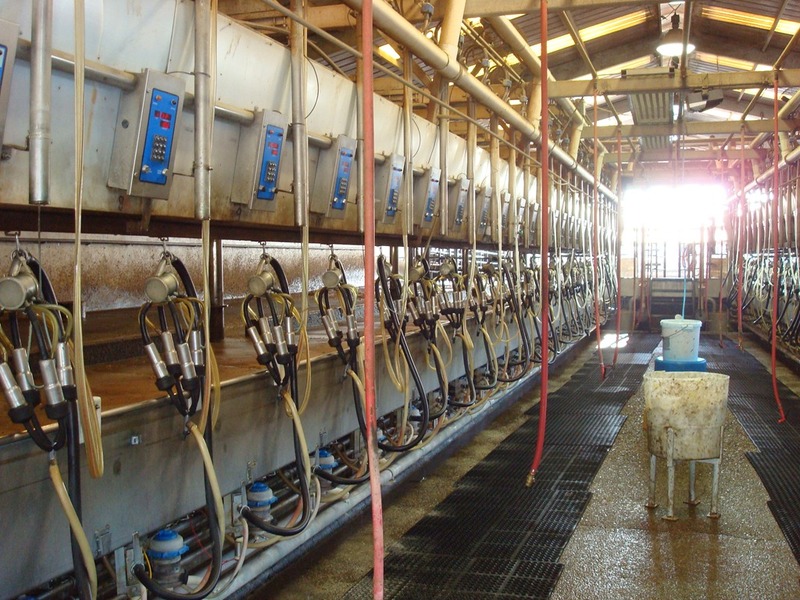 For many dairies this is very easy to achieve, and many dairies have a SCC under 200,000. There is no puss in milk though, and where this idea came from is beyond me. 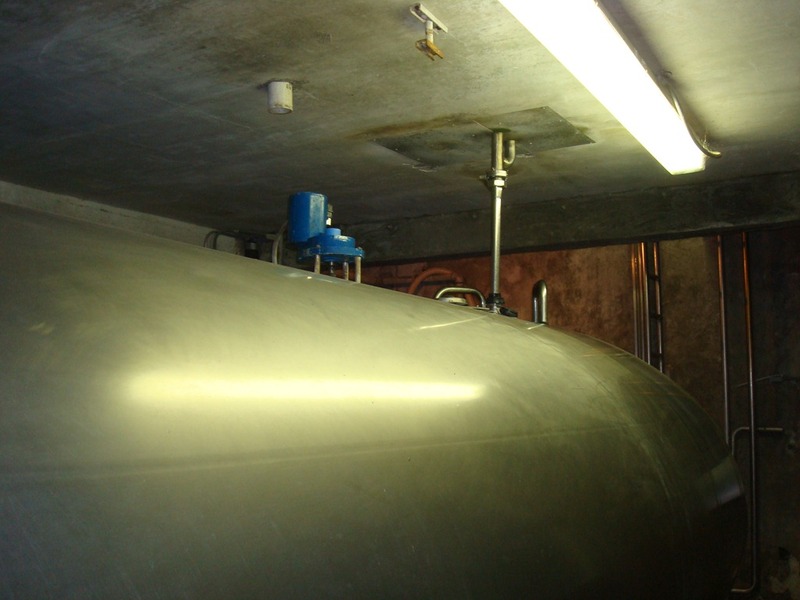 Once the teat is properly sanitized, cleaned, and stripped, the milk machines are attached, and the milking takes place. 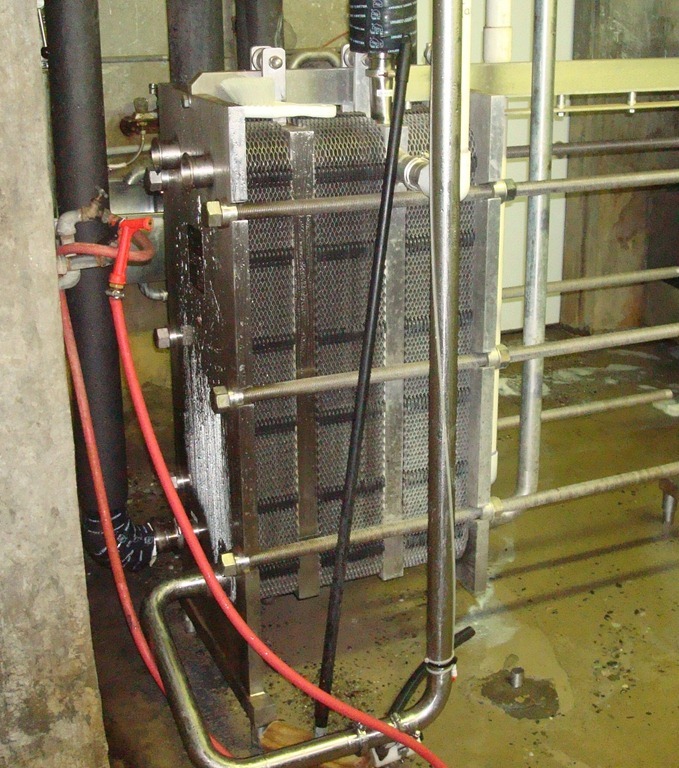 When the cow is finished milking, the machine automatically detaches. The milkers use a different teat dip on the teats. 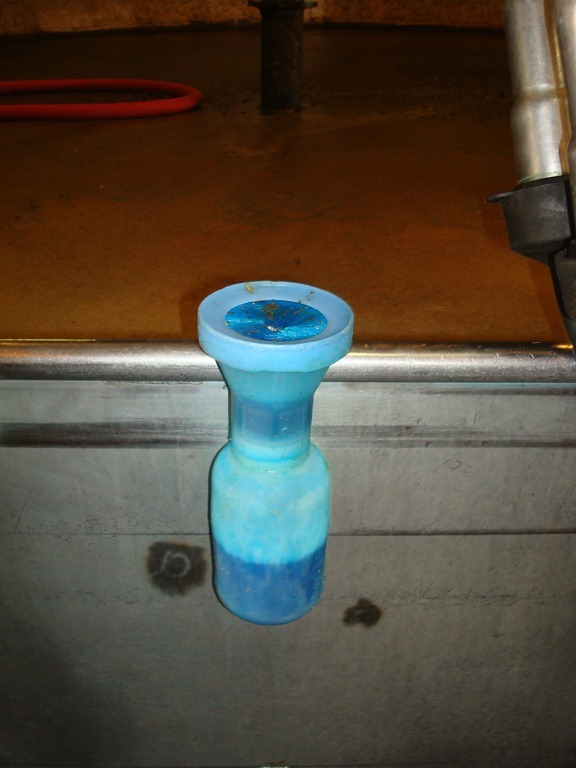 This final teat dip protects the teats from any environmental bacteria that could enter the udder after milking. This is important because after the milking the milk channel in the teat is open, and bacteria can freely enter the udder and cause infection. For this reason the dip is administered to protect the cow’s udder from future infections that could occur. It also softens and moisturizes the cow’s teats. Milking procedures are at the very foundation of milk quality. It is important that each cow’s udder and teats are properly cleaned and sanitized to prevent environmental contaminations that could occur during milking. After the machines are done milking the cow, they are sanitized with the backflush. The backflush is basically what you think it is; a flush of water that comes through the machines to clean them. The water has ozone in it to basically suffocate any bacteria that may have gotten in the line. The backflush also helps stop the transmission of disease from cow to cow. 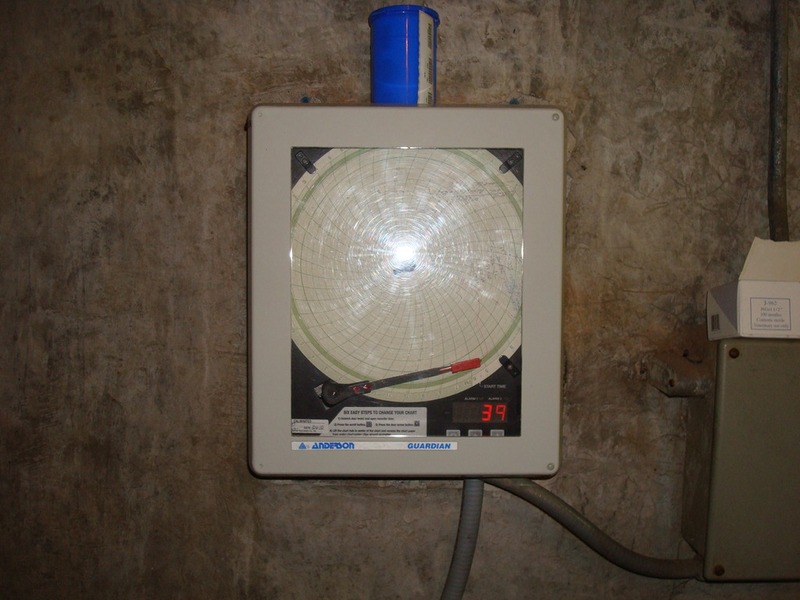 After the machine is used by a cow, it is reused on the next cow that comes in the barn. This would make transmitting bacteria very easy if there was no backflush to eliminate bacteria. This is a highly effective way to sanitize machines before they milk the next cows.